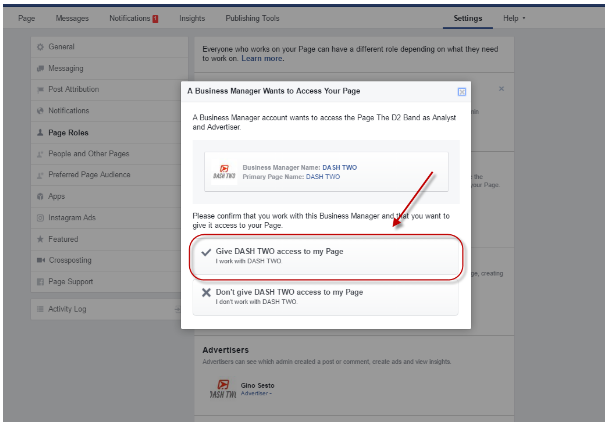 When your Facebook advertiser requests that you give them access to your Facebook page so they can create advertisements for you, it may seem like a daunting task. However, it can be a lot easier than you think. 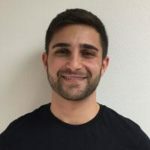 Once you complete this process, your advertiser will be able to upgrade your page, upload advertisements directly, and make your life a whole lot easier. By following these simple steps, you will have the task completed in no time. 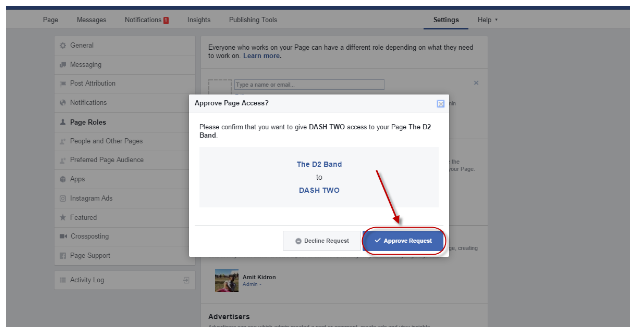 Dash Two will typically send a page request form directly to you. You will receive a notification when the page request form arrives. All you need to do is click on the link inside of the notification. The notification will appear in your notification section and look like the image below. Next, you will go into your settings in the upper right hand corner of your page. The next step is to scroll down the list of settings on the left hand side of your settings page. There is a tab for “Pending Agency Requests”. You will choose “Page Roles” under this tab to respond to the request. Click on “Respond to Request”. Now, you will give us permission to access your page. Simply click on “Give Dash Two access to my page”. 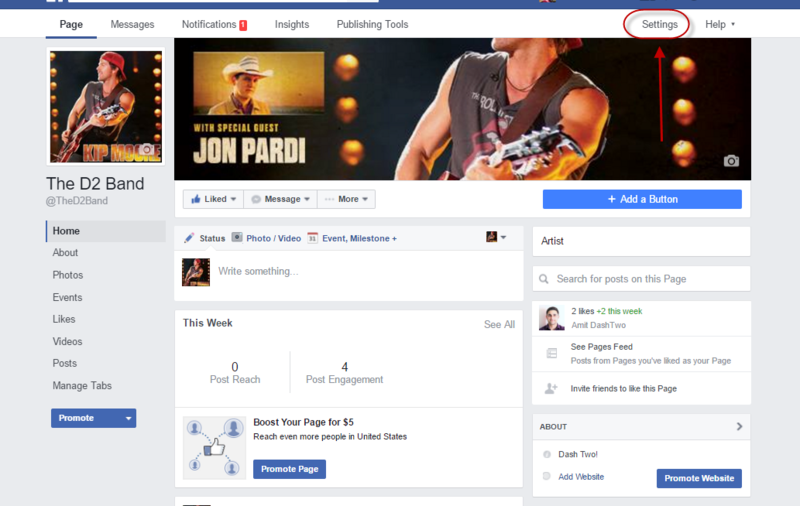 This is the confirmation that allows us to begin handling your advertising on your Facebook page. Facebook will ask you once again if you want to finalize your decision. You will need to hit the “Accept Request” tab to confirm your decision and finalize the request. You must save the changes to your page before clicking out of this section. This is important. The changes will not be made unless you hit the “save” button in the lower right hand corner of the page.